Today I'm featuring a recent read, I've Got My Eyes on You by Mary Higgins Clark. The excerpts shared are from the hardcover version I borrowed from the library. Beginning: Jamie was in his room on the second floor of his mother's small Cape Cod house in Saddle River, New Jersey, when his life changed. Page 56: "I know he's got a temper, Brenda often thought to herself, but I swear those two drive him to it." My thoughts: When popular high school student Kerry Dowling is found dead from a blow to the head in her family's backyard pool, the most logical suspect is her boyfriend, Alan Crowley, who had had a very public fight with her at a party on the premises hours earlier. As the police investigation proceeds, several other persons of interest are identified. Who wants Kerry permanently out of the picture, and why? 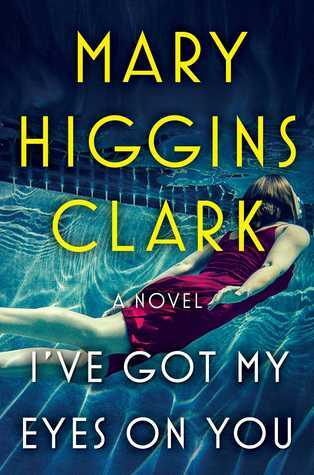 Mary Higgins Clark applies her tried and true suspense formula in this latest novel. Although I strongly suspected the right person as the killer, the motive caught me by surprise. I've Got My Eyes on You is a good vacation read. From Goodreads: A new thriller from #1 New York Times bestselling author and “Queen of Suspense” Mary Higgins Clark. I bet it's not the boyfriend. Mary Higgins-Clark is an accomplished writer in this genre. Good lines. I read Mary Higgins-Clark many years ago and liked the book (although I cannot remember which one!). I've had my "eyes" on this one! Thanks for sharing...and enjoy, and thanks for visiting my blog. I wonder how his life changed... a death? Is he the one with anger too, maybe that would be why.... so much to speculate on. :-) I added you to the Linky. Happy weekend! It's a quick read, especially if you're a MHC fan. As famous as the author is, I've somehow never read a book by her. This one sounds good. This week I have Murder, She Reported by Peg Cochran - a nice historical mystery. Happy reading! I've been hooked on MHC from her very first book, Where Are the Children. I think I've read all her novels, except the ones she co-wrote with Alafair Burke. Your instincts are right on, Bev. The excerpts relate to two different characters, but both are suspects. And thanks, Freda, for adding me to your meme. I had visited your blog twice today before the post was up. 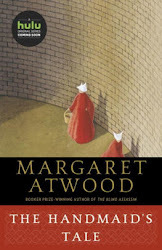 There are several famous authors whose books I've never read and it really surprises me. Hope you enjoy the weekend. Happy reading! I remember when I read my first book by this author - many, many years ago. At that time, I was still reading a lot of Gothic suspense and her contemporary romantic suspense was new to me. I loved her Althea and Willie characters. And I've read some of her daughter's books too. Mary Higgins Clark has been around for a long, long time. It's been quite a while since I read one of her books. Have you read any of the ones she writes with Alafair Burke? It has been a long time since I read Mary Higgins Clark but I do remember enjoying her work. This one sounds great! I always think her books are too scary, but this one doesn't look too bad.